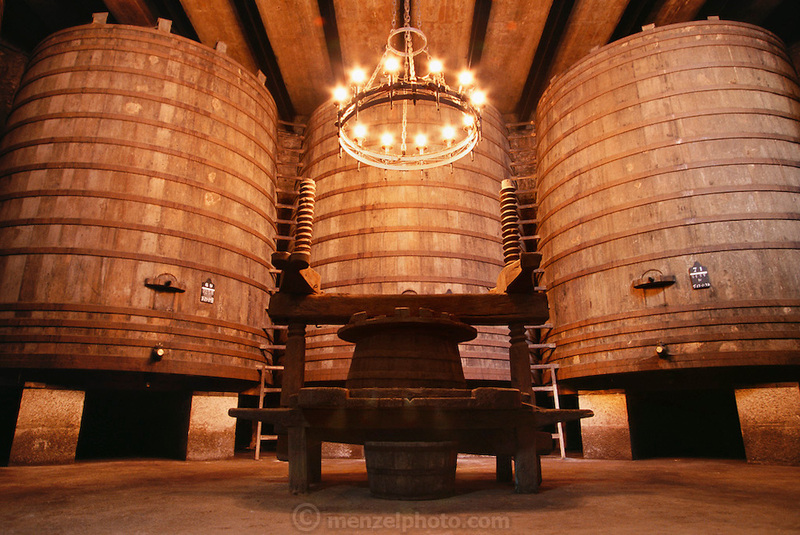 Huge oak fermenting tanks at R. Lopez Heredia winery in Haro. (Located in the railway district on the edge of Haro.) La Rioja, Spain.